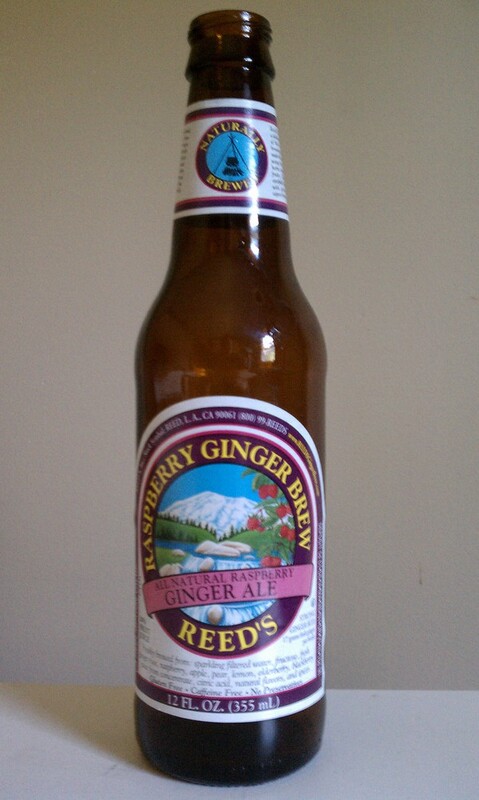 This is my first review for Reed’s ginger brews, they have provided me with a sample pack to review. Ginger for many years has been a root know for medical properties. The cure all for nausea, like what I get every time I go on a roller coaster. The beverage you mom grabs when you have a upset tummy. Lastly, to soothe that bitter sore throat that stalks you all winter long. Today’s flavor contains raspberry as a extra perk for my drinking pleasure. Topping the top open I poured the brilliant red-purple beverage into my 5oz taster glass I got from a trip to Vermont. The smell of the beverage was very interesting, it almost smelled like a fruity red wine to me. Tasting it for the first time I got a rush of tart raspberry, lemon, and blackberry on my palate. Returning to taste again I looked for the ginger this time. Left on my tongue and on the back end of my taste buds I got that familiar heat and lingering tasting that ginger is know for. The carbonation level for me on a strong fruit beverage is important, in this ginger ale in my opinion the carbonation level could have been a bit higher and the sugar level a bit lower allowing that fresh ginger to have a little more presence with the fruits. I am torn on this one. Although I loved the fresh ginger taste, the brown bottle to protect against sunlight, and the color. I could not get past the sweetness. My sister, who I often use as a guinea pig also tried it and loved it! I think for my tastes if it was a little less sweet it would balance the fruit and ginger more and make for a real killer beverage. In about a week or so I will either be reviewing Reed’s extra, premium, or cherry which all will have a bit more bite to them. Thanks for the review. We appreciate the feedback on the taste of the raspberry ginger ale. We’re looking forward to hearing how you like the Extra Ginger Brew.